The first phase of this project was unveiled at the Third Dasam Granth Seminar in California, USA on 9th April 2016. 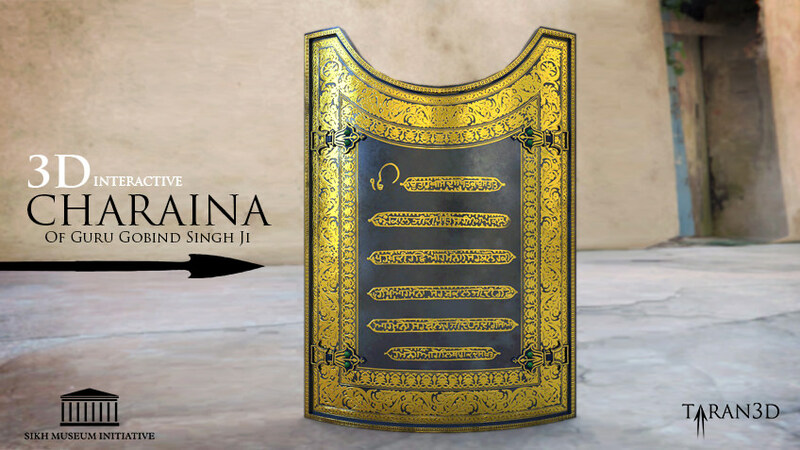 It featured an interactive digital recreation of one of the 4 armour plates, which features Gurbani from the Akaal Ustat, written by Guru Gobind Singh ji. 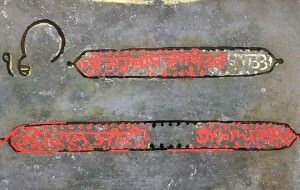 The plate in question is the most damaged of the 4 and missing parts of the pattern were recreated by taking similar sections of the pattern and gurmukhi letters from undamaged parts of the armour. The whole armour was created from scratch in 3D using low quality catalogue photos. 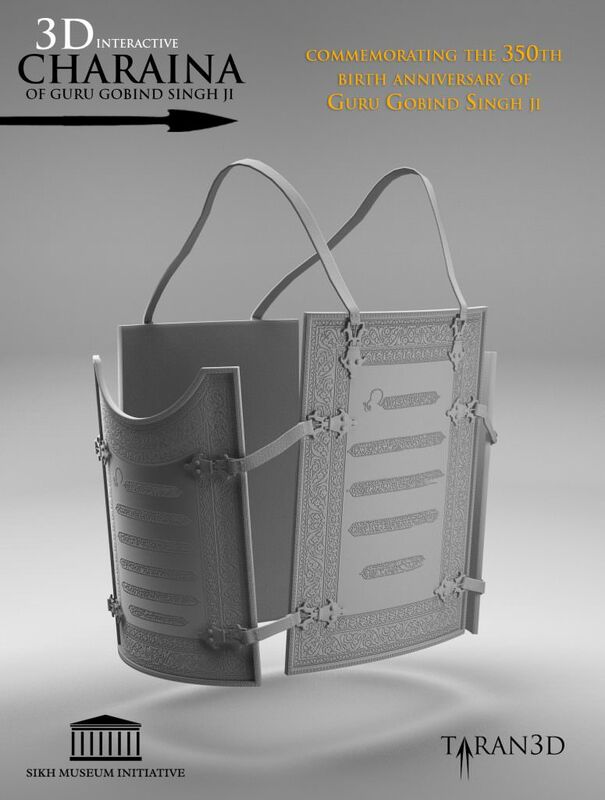 The Gurmukhi was painstakingly hand painted digitally and each component of the gold koftgari pattern was created and then pieced together to make up the full pattern. 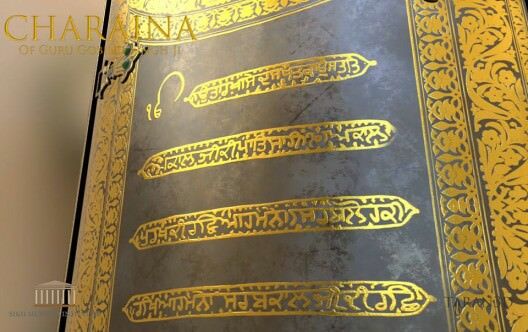 We believe given access to the actual artefacts, we could create more accurate and better quality digital representations that can be used to preserve and educate future generations. 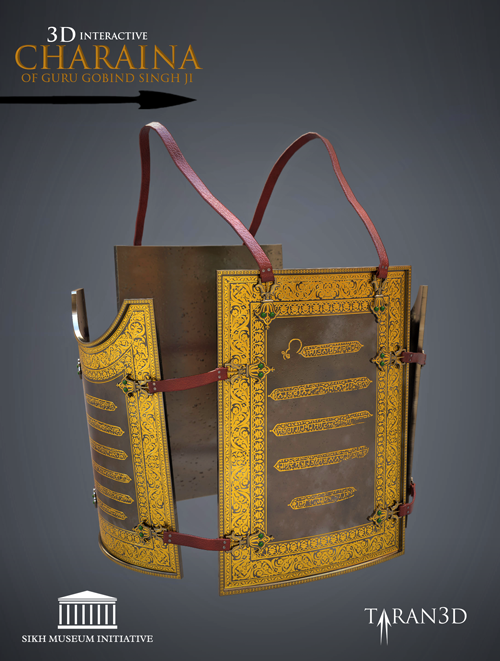 The second phase will involve completing the other 3 plates of armour and creating a touch screen based exhibit.